Odisha is a geo location that is extensively blessed with natural beauties, such as ravishing waterfalls, stunning sea beaches, dense forests full of enormous wildlife and many others put this land nearer to nature. 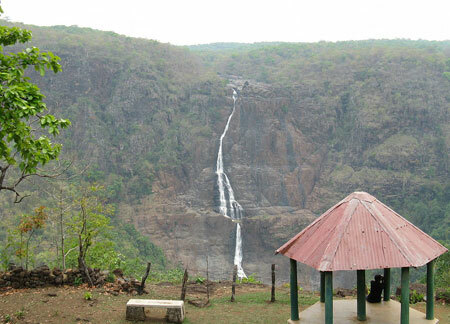 People those love to connect with nature for them Nature Tours in Odisha bring suitable environs. Tourist visit Odisha and experience the true infatuation of nature here, so most of the tourist love to visit again and again with Nature Tours Packages in Odisha. Tourism service providers in Odisha focus on tourist’s safety and comfort in remote areas, tribal arias, forest tourist destinations and in other tourist spots in Odisha Nature Tours and in other tour packages as well. After arrival Bhubaneswar Airport / Railway station, pick-up, check-in hotel, freshen up and half day sightseeing for Cactus Garden, IG Park. Overnight at Bhubaneswar hotel. Take your breakfast visit Khandagiri & Udayagiri (The famous rock-cut caves Hatigumpha and wonderful sculptures in Ranigumpha built by Mahameghavahana Aira Kharavela), Tribal Museum, Nandankanan (Zoological park & variety of Wildlife sanctuary). Overnight at Bhubaneswar hotel. Early morning take your breakfast, check out from hotel, proceed to Bhitarkanika National Park, Enroute visit Deer Park & Maritime Museum at Cuttack latter proceed to Bhitarkanika and check-in Swiss Tents. Overnight at Bhitarkanika Swiss Tent. Early morning take your breakfast, then board on a boat at Khola (Entry point of Bhitarkanika National Park) visit different creeks to see spot crocodiles, bird sanctuary, trekking to hunting tower of an ancient king, crocodiles breeding centre, spotted deer, Lotus pond, many kinds of Jungle animals and museum. Then back to Tent and overnight @ Bhitarkanika Swiss Tent. Take your breakfast, check out from hotel, proceed to Similipal National Park, check-in Lodge and visit crocodile breeding project. Overnight at Similipal Jungle Lodge. Take your breakfast, proceed for full day Jungle Safari with packet lunch and enjoy two waterfalls, different jungle animals, the Natural scenery of Similipal National Park, then back to Lodge and overnight @ Similipal Jungle Lodge. Take your breakfast, check out from Lodge, drive to Bhubaneswar and transfer to Bhubaneswar Railway station / Airport for your onward journey with sweet memories of Jagannath Dham (Odisha).